ForTechiesOnly: Zuck approved app, Friendsheet for iPhone is Live. Get it. 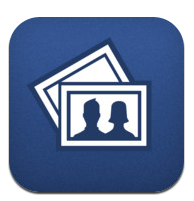 Zuck approved app, Friendsheet for iPhone is Live. Get it. Friendsheet.com is my friend zach's awesome facebook photo viewer app. First made as a "pinterest -like" ui for viewing your facebook photos. In true Allia style, friendsheet.com quickly got traction . Even Zuckerberg liked friendsheet.com, click to see the TechCrunch story. Quickly users started asking for more ways to use Friendsheet. To appease user request's for a mobile version, Zach launched Friendhseet for iPhone 1.0 a few days ago. Just like the website, the iPhone app is slick, fast, and beautiful. Every time you open the app, you get new and surprising photos from your newsfeed. I find that with friendsheet i am now seeing snapshots of my friends lives that i would normally miss from facebook.com. Click here to download the friendsheet iPhone app from iTunes.